Can anyone suggest good management book for HR? 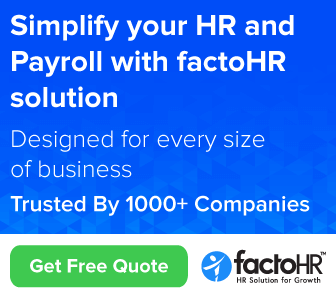 Also share links to update upcoming HR techniques and latest HR Processes. There are plenty of learning resources available, what precisely you want to know/learn? If you want to learn basics there are academical books if you want to enhance your knowledge with latest trends/concepts/practices there are different set of books available. 29. HRLink: An HR community that provides an open discussion platform to Indian HR professionals, employees and management gurus. good Info. Thanks for summarizing it. Peter F Drucker's Writings on Management, published in HandBook Form Are Good Elementary Read. Mr Sharu Rangnekar's Book titled "In the Wonderland of Indian Manager" is Hard-Hitting Hilarious Read. "In Search of Excellence"; "Good to Great" Provide Significant Insight into Management Domain. 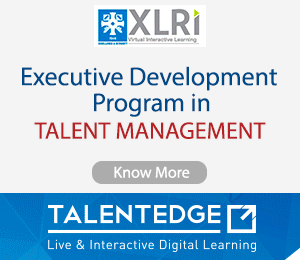 Here is the best magazine by top HR in India. This leads to the central theme of the magazine, ‘For The Win’ which essentially focuses on `skills being the arsenal’ and `tools as your armour’ for today’s HR Leaders, as we talk to them in our special issue of Winners Circle. They have shared their insights on how they are championing innovative disruption as leaders, steps in upskilling their workforce, new age Talent Management mantra, role of culture in improving efficiency and the role of technology in HR today. The interviews present diverse views but all HR leaders who are from Bengaluru are unanimous in their view that the role of technology cannot be undermined in HR today and upskilling and re-skilling is the need of the hour for future ready work forces. Winners Circle is brought to you by Talent Chronicles - a community platform brought together by Paul Writer and Manipal ProLearn. It aims at starting the conversation on the importance of upskilling to be equipped for the technology-driven era, and provides insights on domain expertise. Here are some good HR books for you that you can use to boost up your HR techniques and skills. The above 3 are the top books and every time suggested for HR professionals. Thanks lots to share the links for the books. thanks a lot for sharing informative links. Let us Create HR Platform for Professionals N Trainers to explore Network & Business Opportunities by Joining HR Event on 6th Jan 2019 in Faridabad, NCR to have new beginning to the Road of Success and achievements. Sharing a link of a book for "strategic performance management"
Absconding Employee Settlement - what actions should I take to establish a practice for the company? What is current paternity leave law in private sector? Additional wages to be paid to Security guards for the additional hours of work 12 hrs as per minimum wages? Need Help Regarding Experience Accentures Background Verification.